This new tool will enable riders to remove ISIS crank arms. The tool has a large foot at the base of the extractor. This is needed with ISIS cranks because a standard crank arm removal tool is not fully compatible with ISIS crank arms. 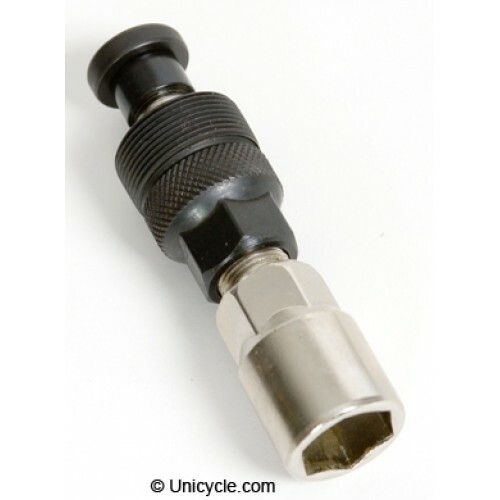 A new super-hard hub specially produced for Unicycle.com, with super-wide flange spacings for a supe..